Rushing waterfalls often seen on vacations and in movies can now be constructed in your very back yard. 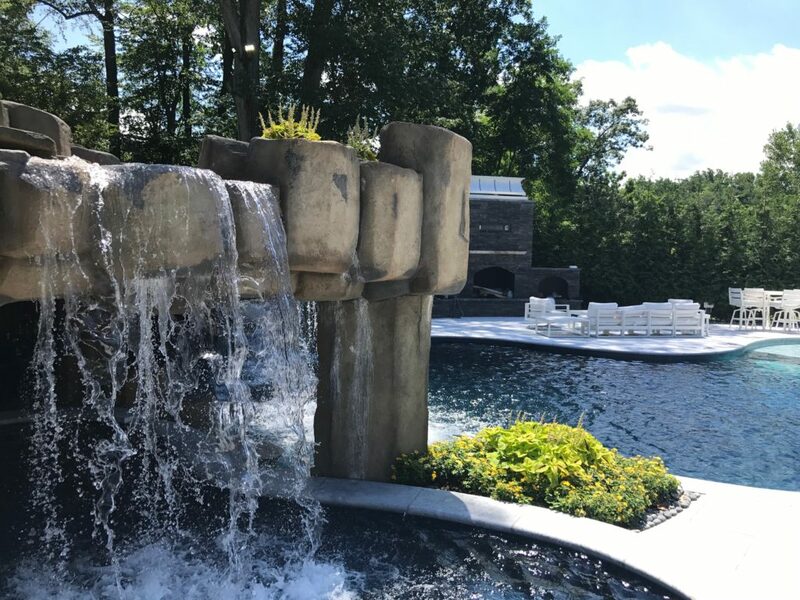 Browse through our portfolio of waterfalls, fountains, and other types of NJ water features to gather some design ideas for your custom fountain or swimming pool waterfall. 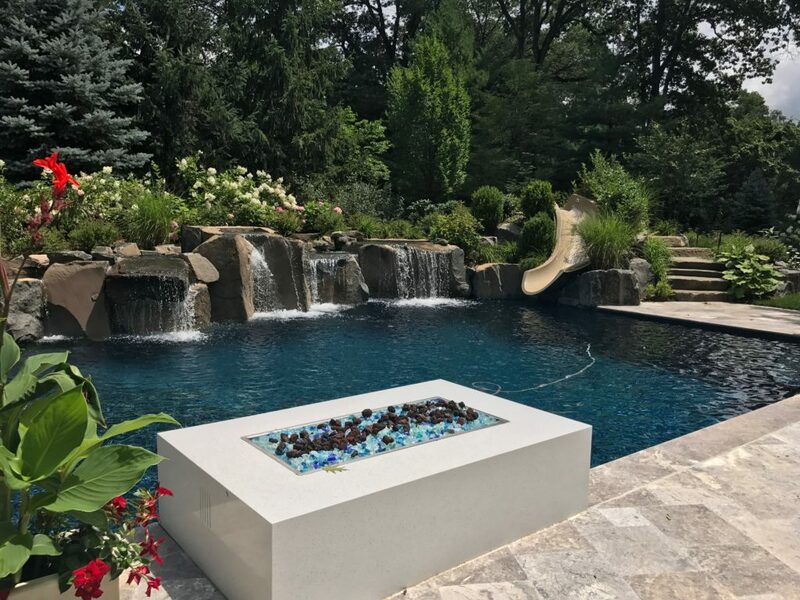 Luxury pool designs often showcase some sort of water feature, but a truly unique feature that looks natural within the design requires experience, skill, and creativity. 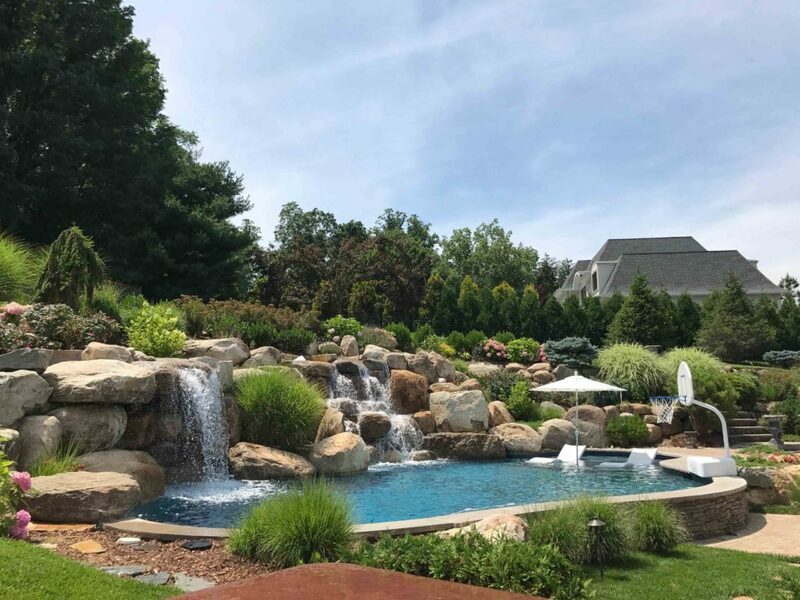 Cipriano Landscape Design and Custom Swimming Pools has earned 40 awards for pool projects with a custom waterfall design and another 21 awards for pools with other types of water features, as well as custom water features alone. 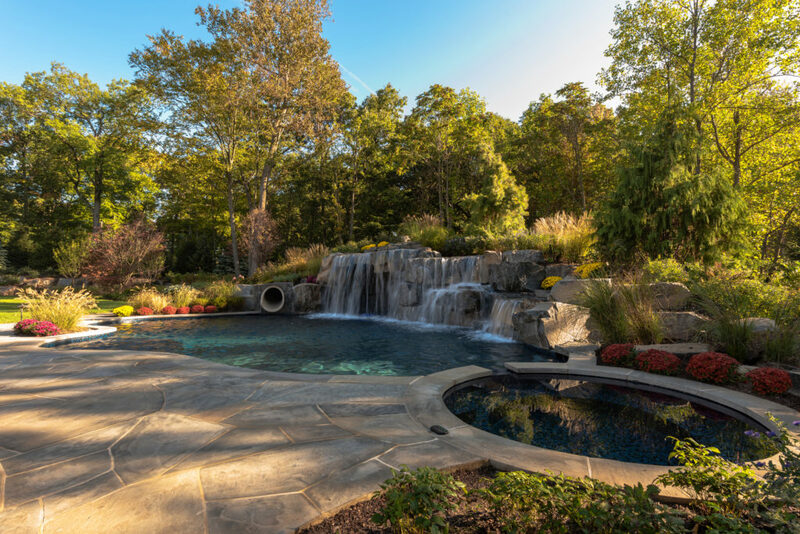 When it comes to waterfall and fountain design, pool, landscaping, and masonry services must all be utilized to generate a successful project. 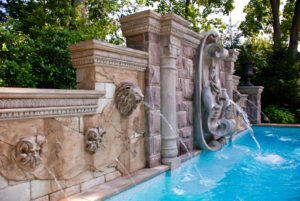 Pools can feature waterfalls, water walls, scuppers, or custom fountains. 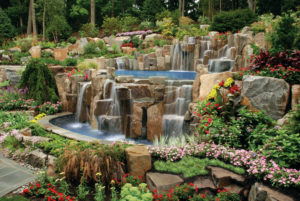 Landscaping softens the stone used for waterfalls and water features; a good landscape design also keeps them from looking out of place and unnatural. In order to keep the plants flourishing, we include irrigation and drainage for every planting pocket in a waterfall structure. For the formal water features and fountains, landscaping adds color and texture to the design. 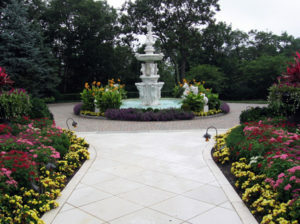 Masonry services come into play while designing and constructing detailed, custom fountains and waterfall structures. Our master stonemasons have even completed custom grotto waterfalls that add extra intrigue to the well-known natural wonder. For ideas, consider a couple of different options from our landscape architecture team. 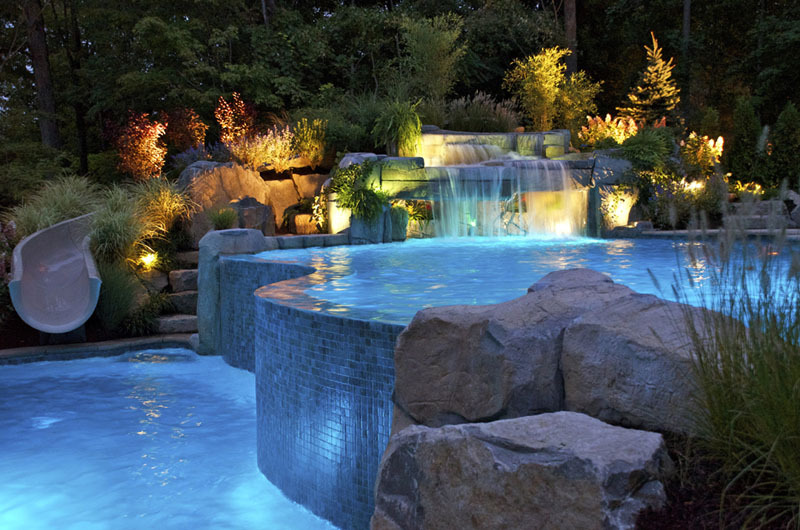 Waterfall design ideas are highly customizable; they can include waterslides, fiber optic lights, spas, and grottos. 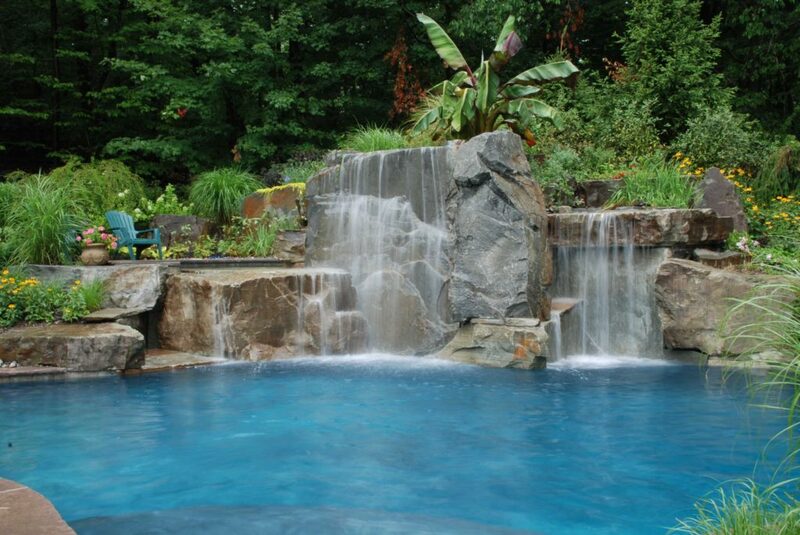 The waterfall can be a sheer drop cascading into the pool or a rushing stream rolling down a hill of boulders. 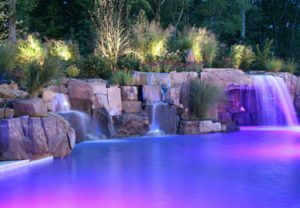 For water features, you can choose fiber optic deck jet fountains, water walls, perimeter overflow features, or custom fountains spilling into the pool in any way. Fountains and water features can also be utilized as a garden ornament for the relaxing sights and sounds of water. 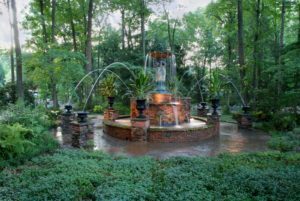 Lastly, other ideas include front entry fountains and large, sculptural fountains that serve as great focal points in a landscape design. 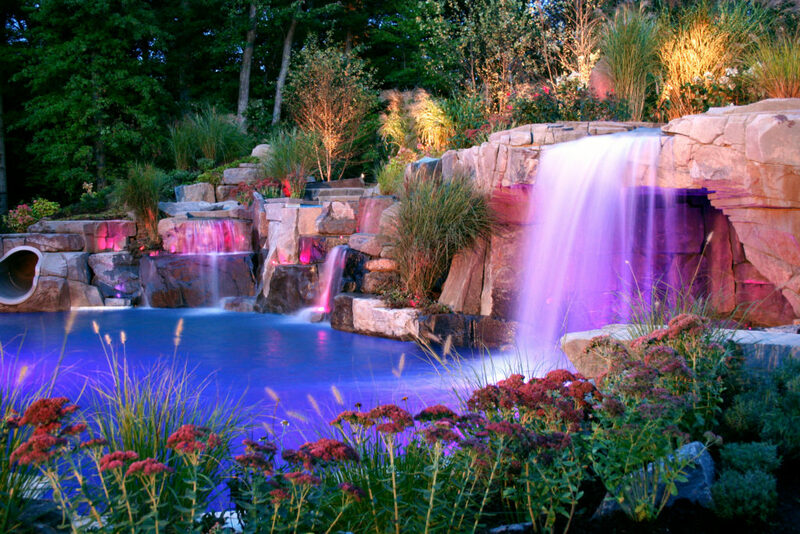 Why hire Cipriano for your waterfall & fountain project? 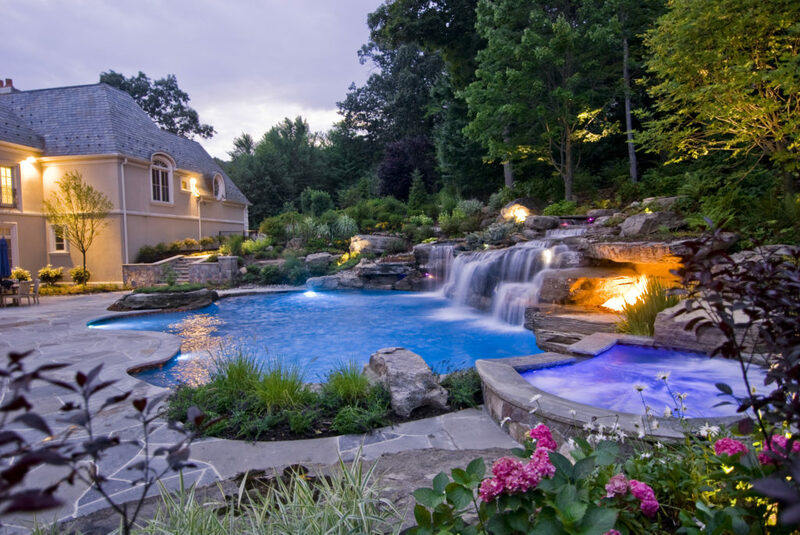 Cipriano Landscape Design And Custom Swimming Pools was named a 3 Time “Top 50 Pool Builder” in the United States by Pool and Spa News. Cipriano also earned the “Exemplary Achievement Award” from the Mason Contractors Association of America. National Landscape Award of Excellence *Grand Award* from the Professional Landscape Network (PLANET).